Please hold onto your ticket and, if the holder of the ticket does not come forward, a random.. 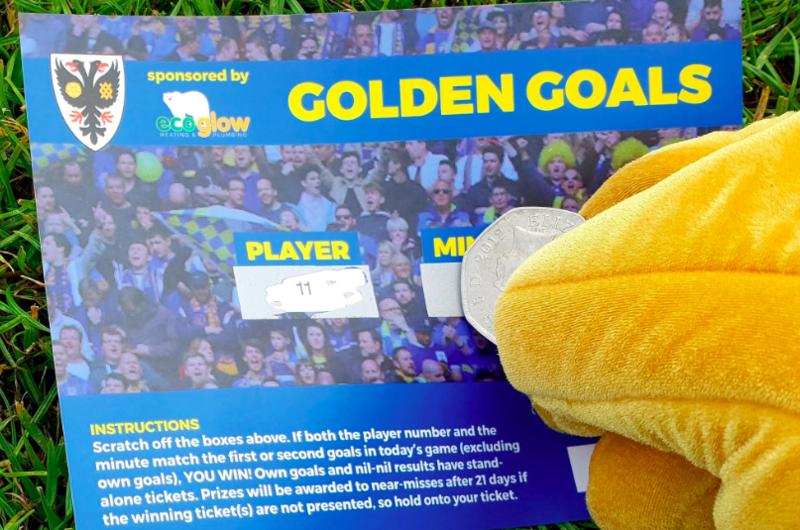 The winning ticket, for £100, for the Burton Albion game was the ticket saying Player 3, Minute 14 (unclaimed). The second winning ticket, for £25, was Player 7, Minute 57 (unclaimed). The winning ticket, for £100, for the Barnsley game was the ticket saying Player 5, Minute 19 (unclaimed). The second winning ticket, for £25, was Player 11, Minute 36 (unclaimed). The winning ticket, for £100, for the Southend United game was the ticket saying Own goal, Minute any (claimed). The second winning ticket, for £25, was Player 3, Minute 45 (unclaimed). The winning ticket, for £100, for the Shrewsbury game was the ticket saying Player 7, Minute 35 (unclaimed). The second winning ticket, for £25, was Player 9, Minute 57 (unclaimed). The winning ticket for the Luton town game was the ticket saying: Player 10, Minute 61. The second winning ticket was the ticket saying: Player 7, Minute 80. Both prizes have already been claimed. The winning ticket for the Portsmouth game was the ticket saying: Player 6, Minute 24. The second winning ticket was the ticket saying: Player 7, Minute 31. 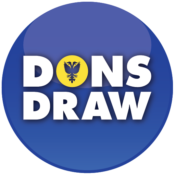 Please hold onto your ticket and, if the holder of the ticket does not come forward, a random draw will be made and the result announced on the.. The winning ticket for the Scunthorpe game was the ticket saying: Player 6, Minute 8. The second winning ticket for the Sunderland game was the ticket saying: Player 6, Minute 32. Neither prize has been claimed. Please hold onto your ticket and, if the holder of the ticket does not come forward, a random draw..